Tea originates in China and there are many legends about how tea drinking started. It is said that Emperor Shen Nung is 2737 BC was the first to discover this drink. The most common legend is about when a tea leaf accidentaly drops down in the emperor&apos;s cup, the emperor liked the taste and tea drinking started. What we certainly know today is that tea is a very popular beverage with long traditions in many countries. Te is said to be the second most drunk drink in the world, after water of course. 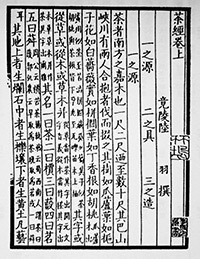 Much of the knowledge about cultivation from ancient China and what kinds of tea were produced has been gained from the first book of tea written by Lu Yu that lived between the years of 733 - 804. Tea was an appreciated beverage with the Buddhist monks. Lu Yu was adopted and grew up among Zen Buddhist monks and developed a great interest in tea, which at this time had become a very popular beverage. He studied tea and then wrote his book. Many of the varieties currently available for sale in China and in our assortment are mentioned in this book. White tea originates in China. It is contentious when white tea first was produced. Today, white tea is produced mainly in Fujian province in China, but aswel other provinces and countries today produce white teas such as India and Nepal. Different countries have slightly different views on what the classification means. The production of white tea that only consists of hand-picked unfolded tea leaves - Yin Zhen, Silver Needles should include the tea being dried in the sun and hence the oxidation stops. Certain oxidation does occurs unlike Green tea. The finest white teas from China contains only the young unfolded tea leaves, with a greater involvement of larger tea leaves, the price decreases. The cheaper teas such as Pai Mu Tan, White Peony contain a mixture of larger tea leaves and prices can range from very expensive to relatively cheap tea. The white tea usually found in tea bags is rarely anything but dust residues of cheap tea, which can easily be seen when a tea bag is opened. 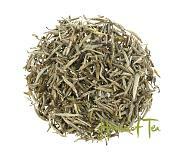 This white tea consists only of the unfolded furly tea leaves. The tea is manufactured traditionally either in Fuding or in Zhenghe. There are teas with the same appearance that is not white tea. Cultivars most commonly used for the manufacture of the tea are Fuding Da Bai or Zhenghe Da Bai (Da Bai = Big White) The highest grades of the tea is picked by hand in the spring when the sun is high in the morning. This as the leaves should have a low moisture level. White teas are generally mild in taste. The younger the tea leaves that are used for the manufacture of the tea, the milder is the taste. In the Chinese white teas a nutty and sweet taste note is often to be found. White tea has in studies shown a high proportion of EGCG antioxidants, even greater proportion than in green tea. EGCG has been the subject of a variety of studies which content you can find on the Internet. The yellow color is an imperial color, and the stories about this way of manufacturing implies that the process of manufacture goes back in time to the tea specially prepared for the emperor and the court. The process for most yellow teas is similar to that in the manufacture of green tea, but the tea undergoes a special drying phase that gives the tea its unique taste. The drying phase is longer than for green tea and this is where the yellow tea gets its yellowish color.Processen kan tillämpas på olika typer av teer likt Jun Shan Yin Zhen som närmast är ett vitt te eller Huang Da Cha som är närmast ett högoxiderat oolong te. In the production of green tea, the oxidation (often referred to as fermentation) is stopped by heating up the tea. Heating is done by toasting on a wok, steaming or oven heating. This is what distinguishes the tea technically from an oolong tea or black tea, where tea is allowed to oxidize to a greater extent.Grönt te har mer och mer vunnit sin popularitet i Europa och många människor har upptäckt grönt te inte endast för sin nyttighet utan för dess fantastiska smak. Skillnader i smak mellan vad som kallas för grönt te är enorma. Examples of well-known green teas from China is Lung Ching, Long Jing and Tai Ping Hou Kui, but the green varieties are countless many and of varying quality. The same name does not mean the same tea and there is also no grade scale you can trust. Most green teas come from China or Japan, although most of Asia more or less have some production. Chinese and Japanese teas differ a lot in taste. This is largely due to the fact that the tea&apos;s production method differs. The Chinese tea usually dry roasted while the Japanese tea is usually steamed. Examples of Japanese teas are Sencha, Matcha and Gyokuro, but cheap Sencha teas out in the trade are often Chinese Sencha teas. The green tea is prepared at a temperature between 50-85 degrees. If you prepare the tea too strong the tea will be bitter. Oxidation is interrupted between black and green tea, depending on the variety of Oolong. Oxidation on an oolong tea can vary between 10-70%. The name oolong, Wu Long means black dragon in Chinese. The stories about the name are several, one about a man named Wu Liang who discovered the oolong tea by being distracted by a deer, forgot the tea and when he remembered, the tea had already started oxidizing. Other stories suggest to the appearance of the tea, black with a form of a dragon. The history of Oolong tea dates back to the beginning of the Qing Dynasty, where it is believed to have originated in Wu Yi Mountains, Fujian Province, China. Taiwan, once in history belonging to Fujian province is very famous for its tasty Formosa oolong varieties. Oolong too spread to Taiwan as late as the 1800&apos;s. Oolong te is manufactured in Wu Yi, Feng Huang in Guangdong, Anxi, Taiwan, but also other provinces in China. Even Vietnam and Thailand produce oolong teas, often it is influenced by imigrant Chinese that started cultivations.Teer i Wu Yi följer det traditionella sätt att producera oolong, med mörka teer som rostas, medan det i Anxi och Taiwan mer och mer övergått till lättoxiderade teer. Dark Wu Yi oolong teas, traditionally roasted are storable between 3 - 5 years. After this, the tea must be reroasted to gain storability again. What we in Europe call black tea is called red tea in China as the color of the tea is considered to be red, Hong Cha. For this type of tea, full oxidation has taken place. The tea leaves are exposed to air and wither in a controlled process, which causes the tea to turn into a dark color. Black tea is believed to originate from the Wu Yi Mountains in Fujian Province in China, and the first black tea is believed to be Lapsang.Svart te produceras på många håll i Asien och Afrika, och stor produktion av billigt svart te sker främst i Indien och Sril, Lanka - Ceylon. Detta te saluförs som oftast i tepåsar och massproduceras. Black tea is the tea that is drunk most of in Europe while green tea is drunk most of in China and Japan. The variety of black teas are as varied as green teas. Black teas are prepared at high temperatures between 90 - 100 degrees. Stands for Crush Tear Curl, this is a method of making tea where tea goes through a machine that breaks the leaves. The method arose during World War II for the tea to take less space. This is the process that has been used the most in India and Sri Lanka. The advantage of the method is a tea that is absorbed more quickly in the water and hence suitable for tea bags. The tea takes less space. The disadvantage is that the natural aroma of tea is lost during manufacture. Similar to C.T.C the leaves are chopped with a rotary blade machine. The tea leaves are largely whole dependent on the rest of the manufacturing process. There is tea called black tea in China, so called Hei Cha. Hei Cha is for example Pu-erh tea or Liu Bao tea. Also written as PUER, PU’ER. Pu-erh tea is a tea that has thousands years old traditions in the area of south west china, concentrated to the yunnan province of China. Manufacturing of Pu-erh is mentioned in the first book written about tea in China by Lu Yu, the production is done the same way today. It is also here that some researchers believe that the tea originated more than 5,000 years ago, around the tropical area of what is now called Pu&apos;er (Simao) and around Xishuanbanna. Yunnan Province consists of the largest number of minority people in China. Dai, Han, Naxi, Bai and Yi people are residing in the area. The tea was an important commodity and traveled long stretches that stretched from Sichuan, Yunnan to Qinghai Tibet, but stretches of the way were also to Burma and Thailand, Lhasa to Nepal and India, Vietnam and also to Mongolia. 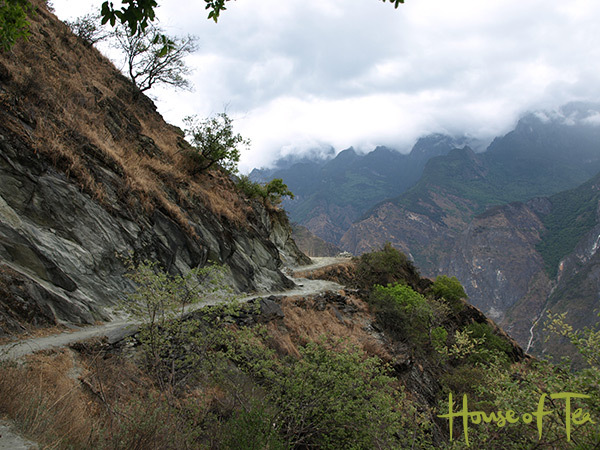 A commercial route became, in Chinese the stretch was called "Chamadao" and is what we call The Tea Road, The Tea Horse Road. The road had a stretch of over 4000 km around hard mountain passes in the area. The famous butter tea in Tibet is made by Pu-erh tea, salt and yak butter and is part of the Tibetan staple food today. Tea is organic matter. When storing tea, there are a number of parameters that affect how long you can store your tea without sacrificing the flavor. The tea loses in scent and taste, and if stored wrong tea loses all its properties. A tea should be kept away from: Air, odor, light and moisture. The tea that is most sensitive to storage is green tea, then white tea, oolong and finally black tea. Tea should not be stored in a paper bag or in some type of plastic. Tea takes in smell from the souroundings and certain type of plastics makes the tea to smell of the plastic. Keep the tea away from the sun as the tea is sensitive to temperature changes and should not be exposed to light. Certain types of tea can be stored in vacuum but with other teas, this is not appropriate. This because the tea leaves are broken by the pressure. The best way to store the tea is therefore an airtight odorless tea tin filled all the way up with tea stored in a cool place with a smooth temperature away from light. The plastic silver tea bags that we use for our premium teas is a good tea bag that can be reclosed and with minimal air let in. The room should be dry and insulated from other smells. The tea should be kept away from sunlight. Pu-erh should not be kept air tight because the tea will not continue to mature! The reason for the air to be dry is that if you keep the tea in a higher humidity, the tea ripens more quickly. However, Pu-erh is better off storing slower for its taste. Black Pu-erh usually does not earn as much of storage as a green Pu-erh does. This because the black Pu-erhn has been fast-matured through a process. You should not see ratings of tea as something that explains the quality of tea, the ratings are a rather misunderstood subject. In the case of black tea grades, they are only about describing the tea&apos;s leaves, it does not say anything about how the tea has been stored, whether it&apos;s good or even if it tastes good. When grading the oolong tea, green tea, yellow tea and white tea, it is more often about a rating associated with taste, but different countries have different grading types, different producers grade different. A tea that is tippy consist a lot of tips, young unfolded tea leaves. Golden means the tea consist of a large proportion of golden tips.